Are we still talking about THAT cover? 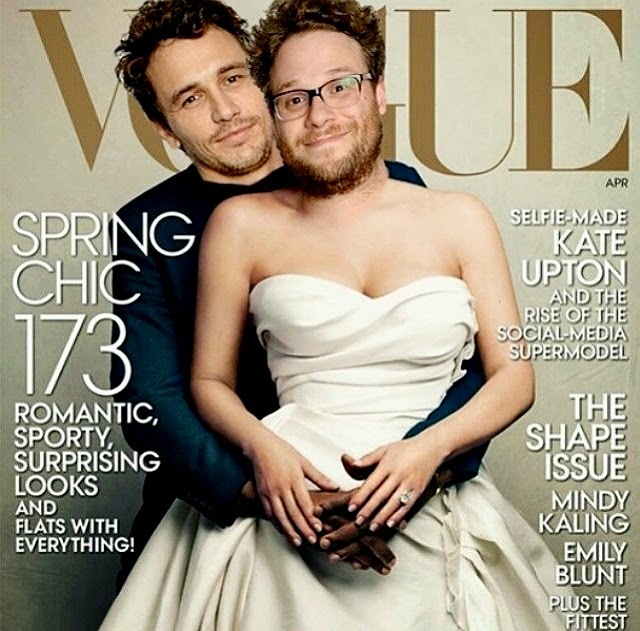 Yes - I'm talking about the Kimye cover.. This weekend, the mighty fashion Bible also known as Vogue has been the talk of everyone remotely interested in the magazine. All thanks to Kanye West and Kim Kardashian. Last Friday (also the day everyone started questioning Anna Wintour's sanity), the new April cover was released - featuring Kimye. The reaction was rather overwhelming - or more of one big "WHYYYY?" Some people (read: everyone) were bewildered. 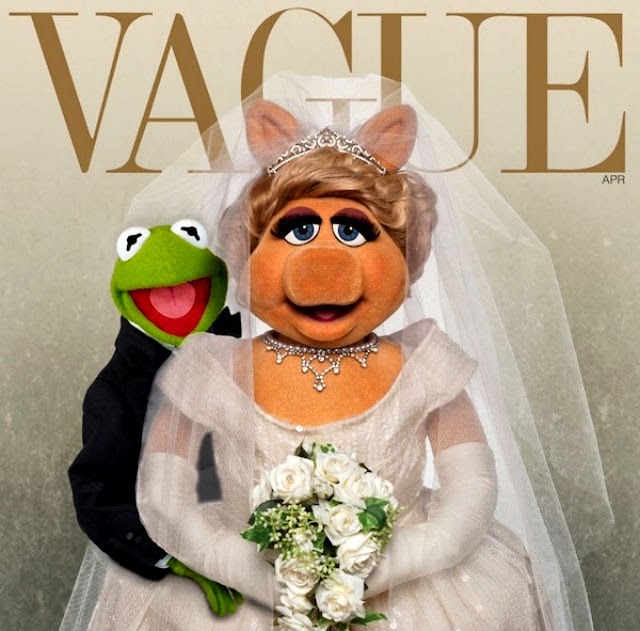 Within hours, two mini-masterpieces were created: the cover of Vogue with Franco and Rogen, and "Vague" magazine featuring Kermit the Frog and Miss Piggy. Obviously, both are much better than the original. 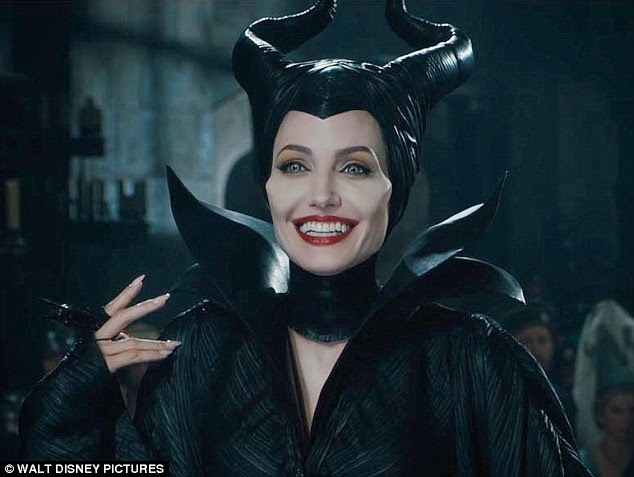 Angelina Jolie is teaming up with Stella McCartney to design a children's clothing line inspired by her upcoming Disney movie Maleficent. 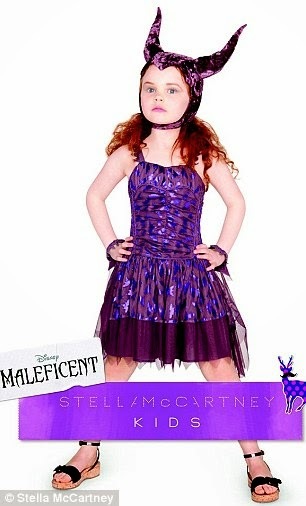 Aptly named after the movie, the collection will feature sparkly princess dresses and sandals for girls and 'edgy T-shirts and sneakers' for boys, with prices ranging from $75 to $185. 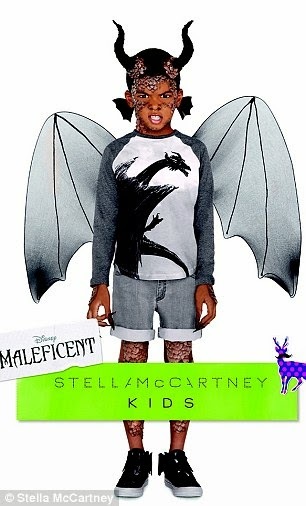 The movie opens May 30, and the collection will be available at Stella McCartney stores worldwide, including its first kids’ store in Hong Kong, and online, as well as Disney stores and online, and select kids’ stores at the end of April. Ten percent of the sales made in Stella McCartney stores and online will benefit SOS Children’s Villages, which works to provide homes for children in need. Last week, H&M Studio presented its autumn 2014 catwalk show during Paris fashion week. Held at the Grand Palais in front of 600 guests, including Miranda Kerr, Jessica Alba and Solange Knowles, models such as Andreea Diaconu, Joan Smalls, Izabel Goulart and Saskia wore the look of the season: nonchalant attitude of the 21st century, mixing feminine with masculine styles. The collection will be available in around 250 stores worldwide, as well as online, from September 4, 2014. H&M Studio is the new name for H&M’s key seasonal fashion collection. With its own dedicated design team, each season H&M Studio will offer a limited edition collection of the hottest looks and statement pieces. “It’s so good to be at H&M Studio in Paris to see this limited edition collection. H&M is such a wonderful brand – it’s affordable, wearable, and very fashion forward”, says Miranda Kerr. “I love H&M - it’s so exciting to be here, so much fun. The way I dress I mix things together, and I love to shop at H&M, I always find something new when I’m there”, says Jessica Alba.